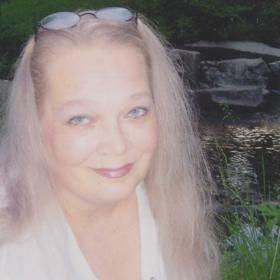 Kathleen Anne Casey, age 62, of Holland died Thursday, March 14, 2019 at The Laurels of Sandy Creek. For 15 years Kathy supported the Martin Resource Center where she volunteered as an administrative assistant and was on the committee board. Kathy was involved with the Martin United Methodist Church in many bake sales and breakfasts for the people in the community. She was passionate about being with and loving her family. She was preceded in death her parents Henry Daniel Beck and Dorothy Mae Powers – VanOrder and her father Kenneth VanOrder. She is survived by her children: Michael TerHorst of Holland, MI, Timothy TerHorst of Plainwell, MI and Patrisha Casey of Wayland, MI; grandchildren: Michele Sanchez, Christian TerHorst, Paige TerHorst, Lucian TerHorst, Madison TerHorst, Chase Sonnerville, Trubrille Lail, Karis Lail, Trinitie Lail, Airreana Lail; great grandsons: Jaedon and Milo; brothers and sisters: Jackie Beagle of Fennville, MI, John and Dianne Beck of Plainwell, MI, Brenda Bawinkel of Holland, MI, Suzanne Luttrell and Scott Massie of N Ft Meyers, Florida, Kenneth VanOrder and Michelle Thomas of Allegan, MI, Scott and Judy VanOrder of Zeeland, MI and Mark and Pat VanOrder of Martin, MI and many nieces, nephews and cousins. A funeral service will be 12:00 pm, Tuesday, March 19, 2019 at the Central Wesleyan Church Chapel, 446 West 40th Street in Holland. Please use entrance G. Reverend Kevin Smith will be officiating. Visitation will be from 10:30 am – 12:00 pm prior to the service at the church. Memorial contributions may be given to the Martin Resource Center.